Reports reaching us indicates that Facebook has reportedly offered to acquire Snapchat. Facebook made an offer of one billion dollars on the popular photo-sharing app Snapchat, with this acquisition facebook hopes to capture a massive and lucrative teenage market. According to Wall Street Journal Snapchat CEO Evan Spiegel has turned down the offer. Facebook made a similar offer last year when the acquired Instagram by paying one billion dollars to acquire the photo App.But if Facebook succeeds in making these deal a success by taking over of snapchat, these will help increase Facebook’s staying power in the mobile market as users who are tired of blogging about their lives in various social media networks instead prefer sharing photos through photo sharing Apps like Snapchat. For those that are new to Snapchat. This is a bit description of Snapchat, is a mobile app that lets users take pictures or videos and send them to friends for a short period of time. which after a few seconds, the image or video disappears and can not be viewed again. In an attempt to control the photo sharing market Facebook launched POKE earlier this year which is similar to Snapchat in terms of functionality but the App have done so well as it have only a tiny fraction of its downloads. 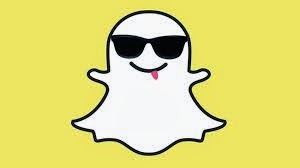 But Snapchaat has a massive user base, where it’s users send around 350 million photo messages per day. Facebook is at the brink of losing lots of teenagers as many are deserting the social giants for more popular ones like Instagram and Tumblr.